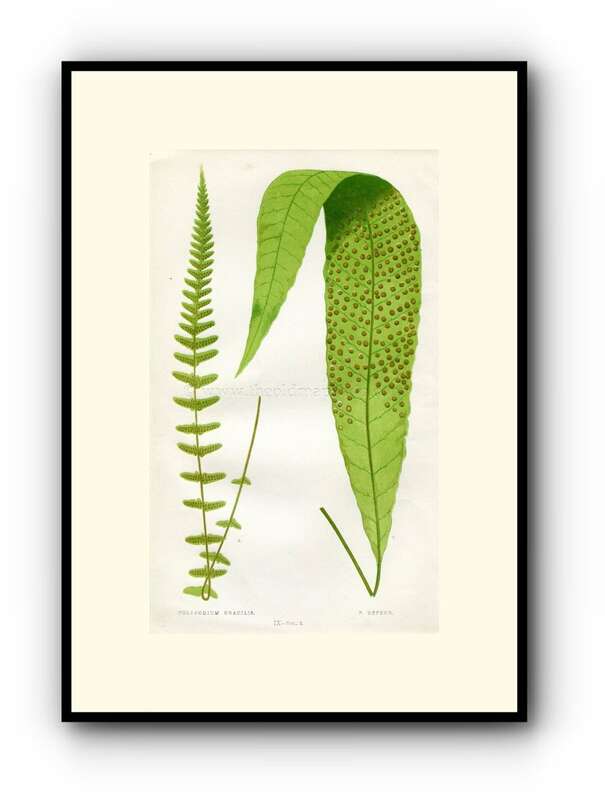 This beautiful Edward Joseph Lowe Fern (Polypodium Gracilis & P. Repens) Antique Botanical Print was printed 1858 and is an original book plate from E. J. Lowe, Ferns British & Exotic. Printed in colour from a wood block engraving with a little hand finishing. This was actually printed in 1858 and not a modern copy or reproduction. This Lowe print is guaranteed to be over 159+ years old. We do not sell modern reproductions.